Unlimited contacts by customer allows you to take a more personal approach with your customers. Information like e-mail address, multiple phone numbers and notes allows for personalized service and target marketing to your customer. Contact history can be recorded for any contact events including phone calls, emails, letters, meetings and more. 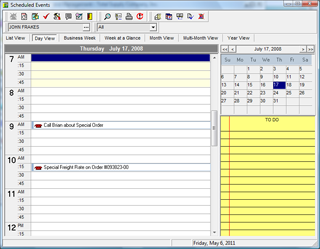 An integrated scheduling system provides calendars and reminders for scheduled events and follow up with your customers and prospects. The included marketing system allows you to group customers for targeted mailings, broadcast emails, faxes or exporting to mailing or contact lists. 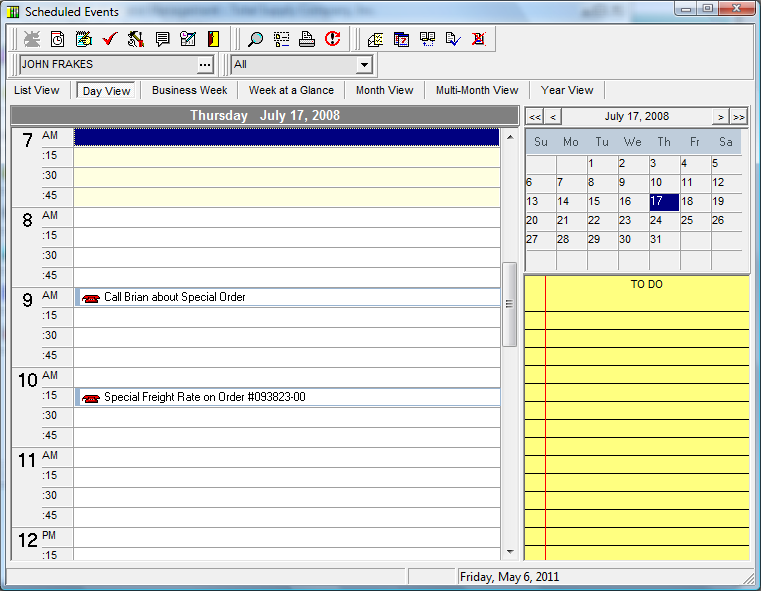 Record contact events for phone calls, email, faxes, meetings, etc.